Ideal location in Alpine Village. 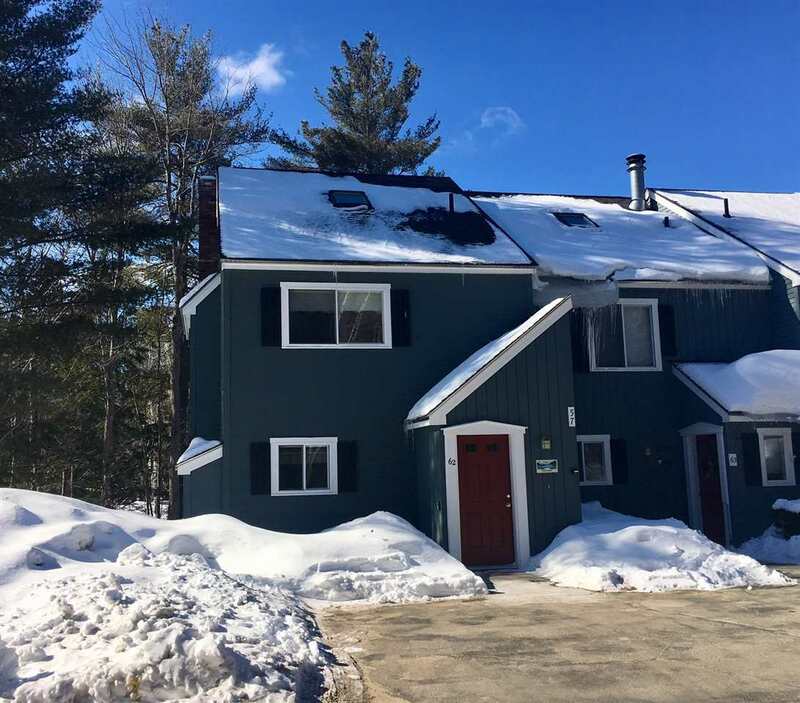 This condo is a 4 bedroom, end unit, with a deck overlooking the pond and woods behind it. Lots of privacy! Inside you&apos;ll love the updated kitchen with stainless appliances and tile flooring. There&apos;s newer carpeting throughout this nicely furnished condo. You will love the bright sunny living room with sliders out to the deck where you can relax, cook outside and enjoy! Direct vent heat is very efficient for heating in the winter. From here, you can easily walk into downtown North Woodstock. Close drive to Loon, Cannon, hiking trails, the Pemigewasset River, and all the area outdoor attractions. Room 1 Dimensions: 9&apos;9" X 13&apos;10"
Room 2 Dimensions: 14&apos;5" X 22&apos;6"